Packaging trends reflect consumer priorities, so standards evolve alongside shoppers’ preferences. Modern options, for example, include packaging styles specifically designed for fast-paced, on-the-go lifestyles. For ease of use and portability, light, durable materials have replaced hard-sided, breakable bottles and jars. And individual sized containers are now found in nearly every retail segment, from pet food to powdered drink-mix concentrates. Portion packs are poised to continue growing in popularity, so forward-thinking producers are working with experienced packagers to maximize the marketing power of personal packaging. Some of the benefits of individual portion packs are immediately clear, but the popular packaging strategy yields additional advantages, beyond easy-to-transport food options. Perhaps the driving force behind changes to food packaging, convenience is more important to busy consumers than ever before. Portion packs furnish portability, without the need to transfer foods from larger containers or wash receptacles. In many cases, modern versions are one-time use, to be recycled, but some varieties can be reused or repurposed. Pouches – Though pouches are not new to the scene, improved materials and methods are leading growing numbers of producers and their contract packaging partners to the flexible alternative. Classic examples include familiar condiment packs made of foil and film, in single-serving sizes, and gusseted versions adding capacity for larger quantities of contents.Pouches and sachets are fashioned according to storage, transport, and merchandising requirements, using multiple material layers, at times.They are often sealed on three sides and can be linked in bandolier-style, multi-unit packs. Form, fill and seal methods make individual portion pouches appropriate for liquids, gels and squeezable food products, as well as diverse contents like liquid supplements and energy blends. Custom stand-outs include pouches made in unique shapes and clear materials enabling consumers to see what’s inside. The convenience of pouching is clearly seen in the applesauce business, which increasingly relies on flexible, portion-sized pouches.According to one industry insider, the packaging strategy is prompting consumers to buy more applesauce than ever before, due in part to the convenience and portability pouches provide. Ease of use has also helped stimulate growth among meal-sized pouches, containing sauces, marinades, and mixes. Lidded Cups – Individual serving cups are well-suited for gels and thick liquids, as well as dried pasta and soup mixes. By incorporating the proper materials, packagers add further convenience, creating eat-in containers for rehydrating soup mixes and noodle dishes. Substances like pudding, gelatin and peanut butter have long been offered in personal plastic cups, with film or foil lids, but the category continues to expand for on-the-go consumers, who now look to serving sized cups for a greater variety of snacks and meals. Stick Packaging – Stick packaging is widely used for powdered energy drinks and dietary aids. Not only are the sticks convenient, but individual packs control dosing, ensuring users receive recommended supplement levels. Named for their elongated shape, the formed, filled, and sealed vessels are particularly well-suited for dispensing powdered blends into bottled liquids. Organic and healthy food purchases are expanding, showing consumers’ commitment to products supporting food health. As a result, portion packs have evolved as a healthy form of self-regulation, which defines the size of a serving up-front, before the user eats too much. Packaged portions continue expanding beyond desserts and snacks, into fruits and vegetables to be eaten on the go. A recent study highlights the positive impacts of portion packs on the fate of overweight individuals, who successfully use the serving-controlled packages to shed pounds. In addition to portion sizing, personal snack and meal packs furnish alternatives to school fare and fast food, enabling parents to incorporate healthy food choices into kids’ daily lunches. 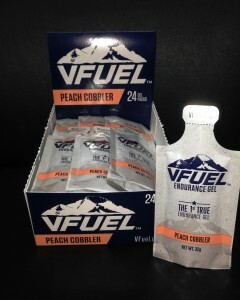 Supplements, vitamin blends and nutritional drinks are also suited for individual serving containers. Sustainability and responsible food practices are important concerns influencing modern consumer behavior. Food waste, in particular, is an important issue for families on budgets and a global concern, gaining momentum worldwide. Portion packs address food waste by protecting contents until they are consumed in a single sitting. Though a concurrent argument asserts individual packages create undue waste, the food-supply benefits of single serving containers outweigh negative concerns – provided the packs are created using sustainable or reusable materials and responsible production practices. Shelf stability is extended when containers are portion packed in one-time-use containers, as opposed to resealable bags and boxes, which do not extend shelf life, instead increasing food spoilage rates. In addition to delivering convenience and healthful eating alternatives, portion packs bring fresher food to end-users. By incorporating appropriate barriers, packagers protect contents from moisture, oxygen, and other exposure. Sealed until ready to eat, individual servings do not have time to degrade, so consumers enjoy them at peak freshness levels, when flavors are at their best. As technology improves and public appetite for convenient packaging solutions grows, the function of portion packs continues expanding. Three unique applications illustrate how ease-of-use, on-the-go has become central to the evolution of food packaging. K-Cups – Quality coffee by the cup is an expectation to modern consumers, rather than a luxury. K-Cups serve as portion packs for coffee drinkers, who appreciate the convenience and variety afforded by the modern brewing system. 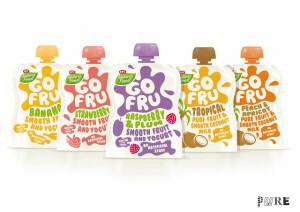 Baby Food Pouches – Another departure from traditional packaging speaks directly to parents on the move. Food pouches aimed at children’s appetites are portable and easier to administer than standard jars and bottles. The portion controlled baby pouches share benefits with adult-sized versions, including portability, convenience and easy clean-up. Pet Food Portion Packs – Taking pet food on the go is similar to feeding families away from home, so portion packs have naturally found their way to pet food markets. The simple solution furnishes immediate sustenance for pets, while simultaneously managing portion control. Convenience is an essential part of time management for on-the-go consumers. As a result, easy to use products and packaging continue to gain favor among shoppers. Portion packaging is commonly used to market snacks, desserts and condiments, and is expanding to other food segments. In addition to ease of use, portion packs control food waste and help consumers manage health concerns. As preferences continue to embrace convenience, portion packs are poised for growth.